From a small production linking group, A Luoi Women's Union members gradually developed a safe agricultural production co-operative and confidently brought A Luoi agricultural products to cross the mountains to go further. Going to Big C Hue, customers are not difficult to find A Luoi bananas because they are displayed at an easy-to-find location at the fruit and fresh food booth. “A Luoi banana has a very typical, sweet-flavoured taste and is very glutinous. Previously, I used to buy them whenever I had a chance to go to A Luoi. 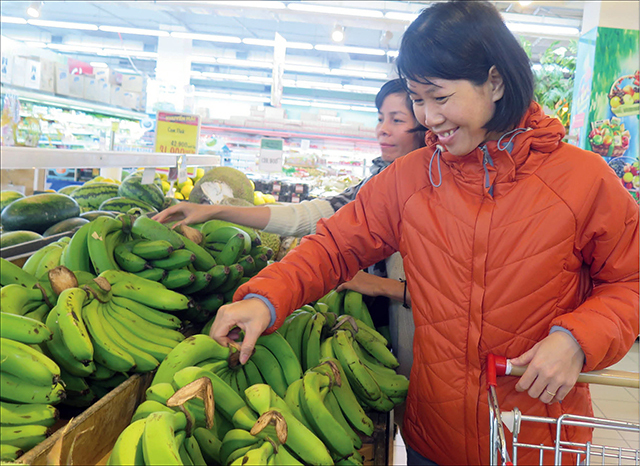 Now it is very convenient since they are sold at the supermarket,” said Nguyen Chau Anh as she chose to buy a bunch of banana labeled A Luoi brand. 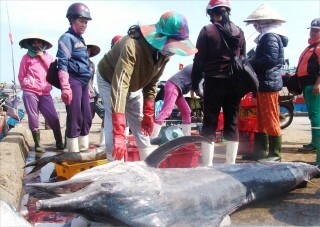 Ms. Vo Thi Thu Thuy, Director of Big C Hue supermarket informed: “This is just the beginning. In the time to come, we will give farmers instructions to focus more on quantity, quality and design so that banana products of A Luoi will have a firm foothold not only in Big C Hue supermarket but also in Big C supermarket system in other provinces and cities”. 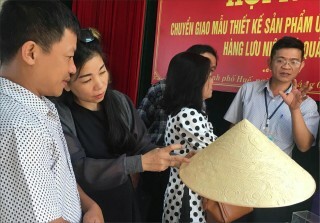 Acting as a customer, Le Thi Quynh Tuong, President of A Luoi Women's Union, quietly listened to the compliments on her hometown products. 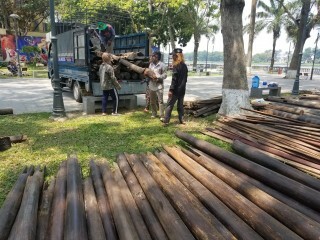 She is considered as the “Matchmaker” to connect and bring A Luoi products “cross the forests” to the city. “Not only bananas, but many products including Ra Dư rice, black sticky rice, running chicken... that used to be merely consumed around the villages, now are displayed for sale in A Luoi specialty and agricultural product stores in Hue city and A Luoi district center, with obvious packaging and labeling,” said in cheers Ms. Tuong. As for Ms. Tuong, this is a happy ending for the story of the initial start-up of her A Luoi fellow sisters. 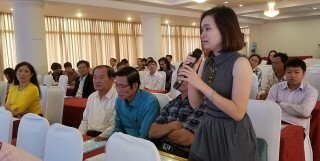 She told that two years ago, they were supported by the provincial Women's Union with 30 million dongs to develop models of safe and environmentally friendly food production, then to form linking groups. 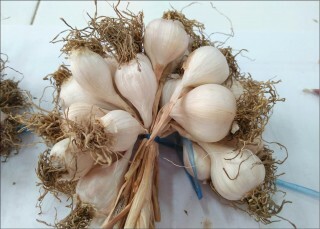 First of all, we invested in 4 members specializing in producing such kinds of agricultural products as vegetables, roots and fruits, with a priority given to producing and processing local agricultural products such as bananas, pickled scallion heads, Asai xiêng spicy, Amoot, Asoar..., then gradually expanded. The Association also set up a “Clean vegetable and agricultural products of the District Women's Union” stand at the center of A Luoi market to sell products. 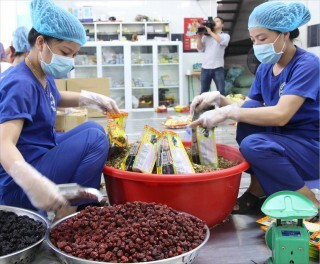 As a widespread fame, the story of start-up women from clean agricultural production obtained an interest from the Center for Central Rural Development (Hue University of Agriculture and Forestry). They introduced and guided the association to apply for funding from the Green Truong Son project. Fortunately, the purposes of the women’s activities met the target goals of the project. “When we received and assessed the application of A Luoi Women's association, we felt that they could meet project requirements. 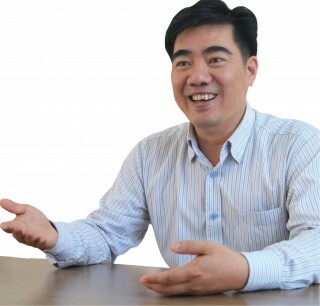 Therefore, we agreed to support them,” said Mr. Tran Van Tiem, Green Truong Son project coordinator. With a qualified convergence, A Luoi Women's Union has confidently developed linking groups to a safe agricultural production co-operative. They developed brand names for key products, registered for a certification of food safety store and bravely organized customer conferences to introduce their products. 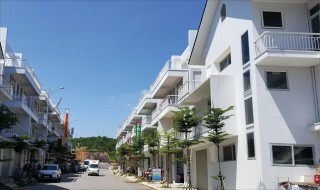 Since then, the co-operative has expanded their market to pre-schools and markets, and established two clean agricultural product stores in A Luoi Township and Hue City. Last August, A Luoi banana with the co-operative’s logo and brand was officially present at Big C Hue supermarket. This created an initial step to products, especially the district’s specialties to be far reaching. 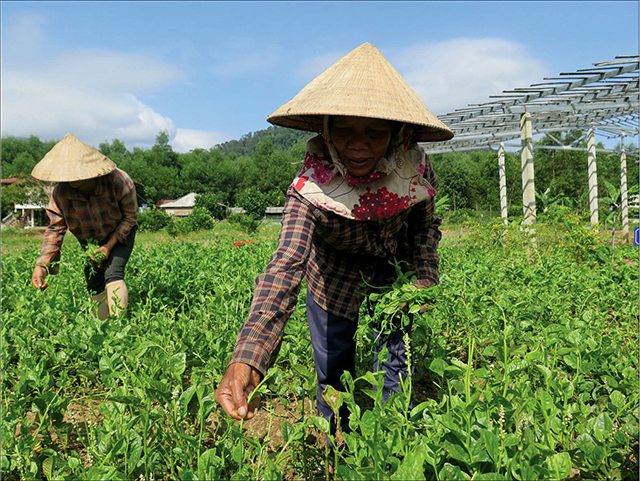 The linking group area for clean agricultural production of more than 2 hectares of A Luoi Women's Union is located deeply in Huong Phong Commune. On the day we arrived, group members were busy with their work. Some were harvesting vegetables. Some fertilized soil to plant new vegetables, while others were removing weeds for growing vegetables. The women took care for vegetables with all their enthusiasm and pride. The whole area of vegetable garden has automatic irrigation system. Approximately half of the area has been permanently covered in strong greenhouses to ensure the production in rainy seasons. Ms. Ho Thi Ngach, land owner and a member of the association said: “Previously, all this area I only planted cassava; but every year the price devalued while we had a good crop and vice versa. When I was mobilized by the co-operative to build up a safe vegetable linking group, I agreed to involve in. We were financially supported to develop our safe vegetable farms, received trainings for cultivation techniques and had a stable market. Thus, this has changed our lives. Each of our member had an average profit of 300 to 500 thousand dongs a day from selling vegetables. 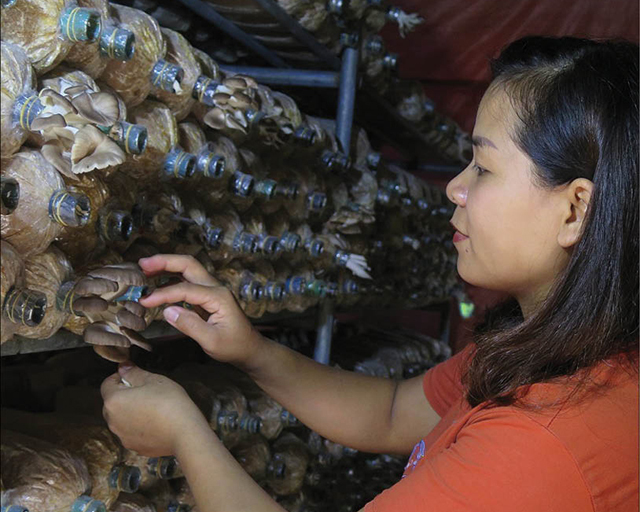 From the available models and being supported by the Co-operative, Ms. Dang Thi Hong at Can Nong village, Hong Quang commune has expanded her model of organic mushroom production on an area of 700m2. She invested in buying a sawdust machine, a pasteurizer, an air purifier, a heat transfer machine... to implant straw mushrooms and oyster mushrooms. On average, Ms. Hong sells 600 kilograms of mushrooms per month to earn 15 million dongs and create jobs for 5 other laborers. “The operation is still underway. We may have a lot of difficulties but with a determination of each member and timely help and support from different organizations, we believe that the cooperative will be competitive enough to stand firm in the market. 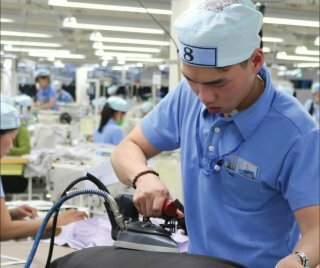 The products of the villages will be far reaching,” confidently said Ms. Nguyen Thi Tuoi, Director of A Luoi Agricultural Production and Trading Co-operative.